Welcome to Day 2 of the 2nd annual #RakimWeek. Today, we're going to cover one of the God's latest works; in fact, one his last two singles to get a physical release (the other, Walk These Streets, isn't even listed on Discogs, though it is for sale on eBay). 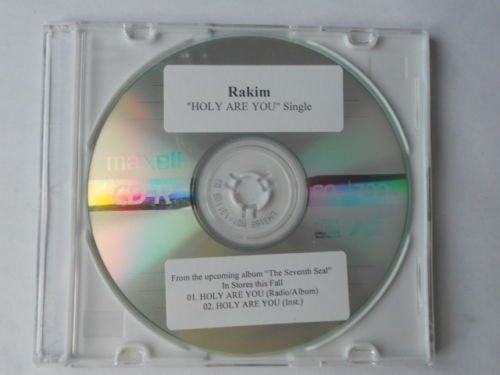 Apparently pressed only on CD-R, this promo single contains both the album version and instrumental version of "Holy Are You," which was produced by longtime Rakim collaborator Nick Wiz. 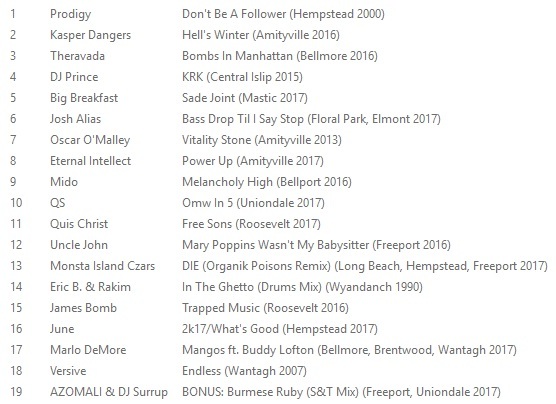 Nick Wiz previously produced "Show Me Love" off The 18th Letter and "We'll Never Stop" off The Master, as well as all three tracks on The Cellar EP (a compilation of previously unreleased recordings from 1995, 1996 and 2002). In addition to "Holy Are You," Wiz produced three other songs on The Seventh Seal: "Psychic Love," "Dedicated" and "Still In Love," which you can watch him mixing here. But it's "Holy Are You" that hit first and continues to hold up the strongest, anchored by a solid sample of a David Axelrod composition for The Electric Prunes called what else but "Holy Are You." In the press release that accompanied the July 18, 2009 premiere of "Holy Are You," Rakim was quoted as saying, "Holy Are You is for those core brothers and sisters . . . the first building block – the lyrical and spiritual piece – of an album that’s my monument to Hip-Hop past, present and future. You’ll see us keep building as we break through each Seal . . . showing the best of what I can do in many forms, bringing the energy and having fun, but first I’m laying that foundation and give my longtime fans the conscious fire they expect." This is definitely that. Read the complete press release for "Holy Are You" here (courtesy of the now-defunct hiphopgalaxy.com), download a digital version of the Holy Are You CD-R promo single here (courtesy of 1994hiphop.com), purchase the single for $.99 on iTunes (vocal track only) and stream the vocal and instrumental tracks below (instro is 2nd down), along with a live performance of the song at Knitting Factory in NYC and several different versions of the original sample material.